world piechart | world timeseries | Africa | Asia | Europe | North America | Oceania | South America | Switzerland. In South America, Chrome has become a domineering number 1 with a market share of 69% of the Web browser market. 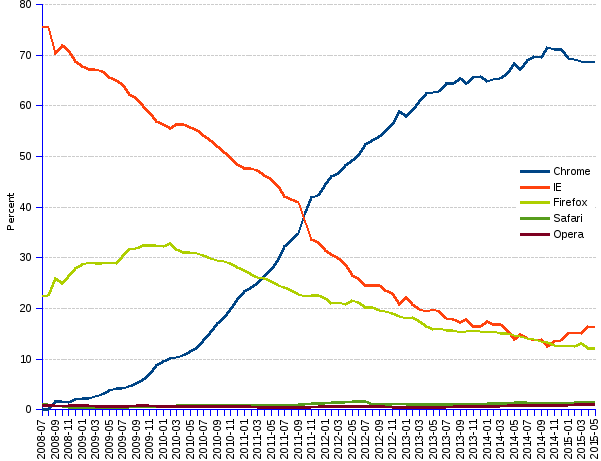 Both Firefox and IE come far behind, with market shares of 16% and 12% respectively. Safari and Opera are remote players with shares around 1%.